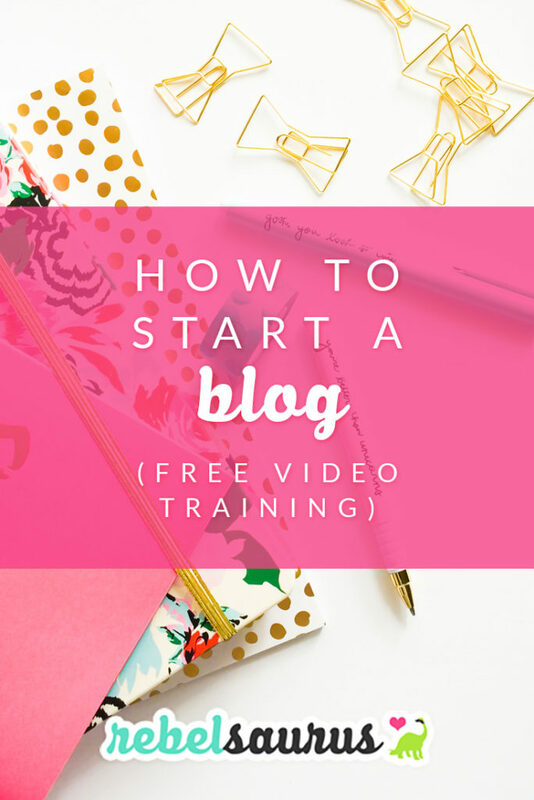 Learn how to start a blog with our free tech training. It’s quick (less than 15 minutes) and step-by-step and covers signing up for a web host and domain name and how to install self-hosted WordPress (DEFINITELY what you want to use!) 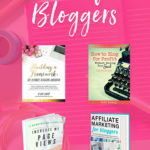 so you can start a blog. 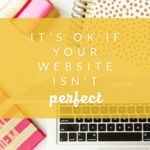 I think it’s really easy to get caught up in thinking that your website has to be perfect or amazing or whatever but the important thing is that it gets DONE. 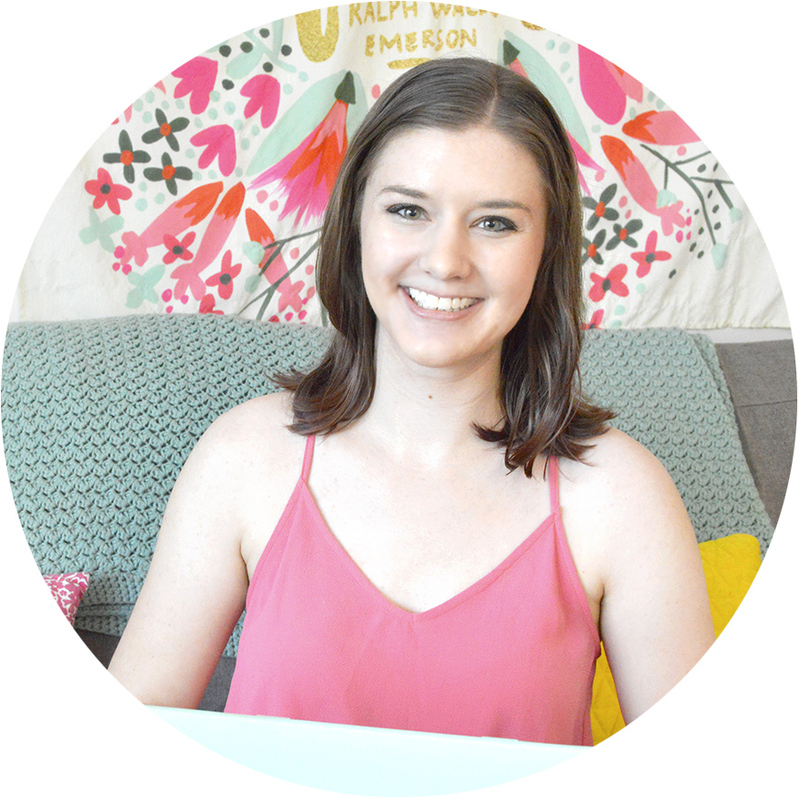 It’s time to let go of any ideas you have about your website having to be absolutely perfect the first time around – you can make as many changes as you want in the future if you know how this website stuff works! So this free step-by-step tutorial will teach you how to get a quick-and-dirty website up in under an hour. 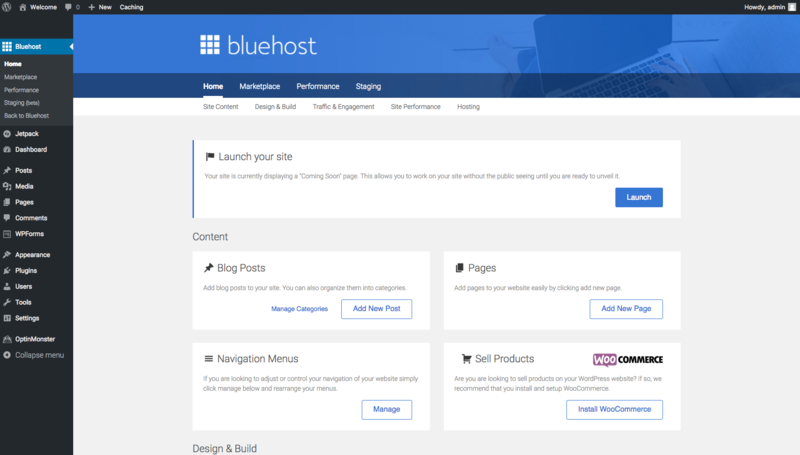 Head over to Bluehost. 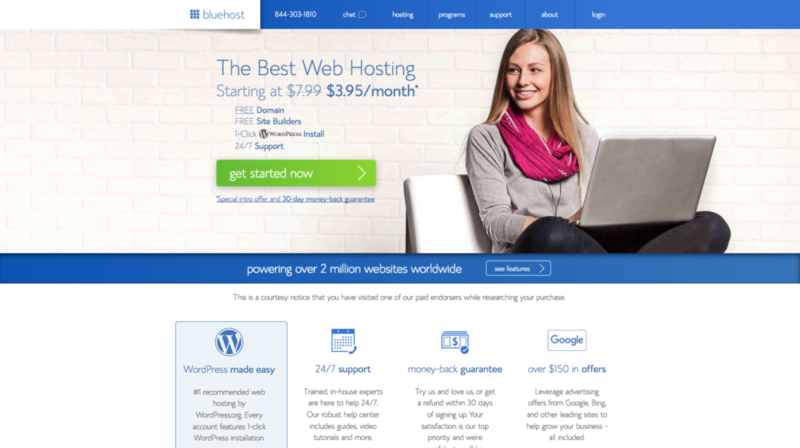 (affiliate) I recommend Bluehost because they’re reliable and were super friendly and helpful when I transferred several websites to them from my old host. 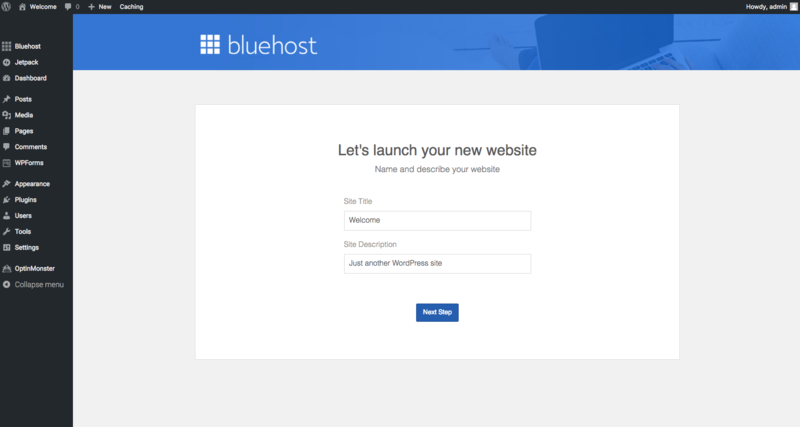 Click here to sign up with Bluehost to start your blog! Click on the big green Get Started Now button on the home page (or go to their cloud hosting page). Now you’ll be on their Select Your Plan page. 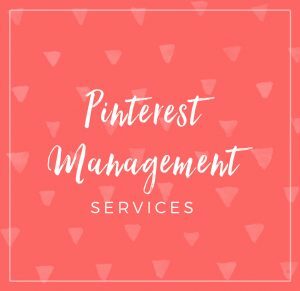 I would recommend the middle “plus” plan because it lets you have unlimited websites hosted on one account. 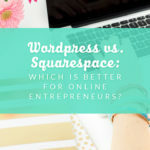 If you’re like me, you might have a ton of different ideas and it’s great that you’re not limited to just one website. 🙂 Click on the green Select button under the plan you want. 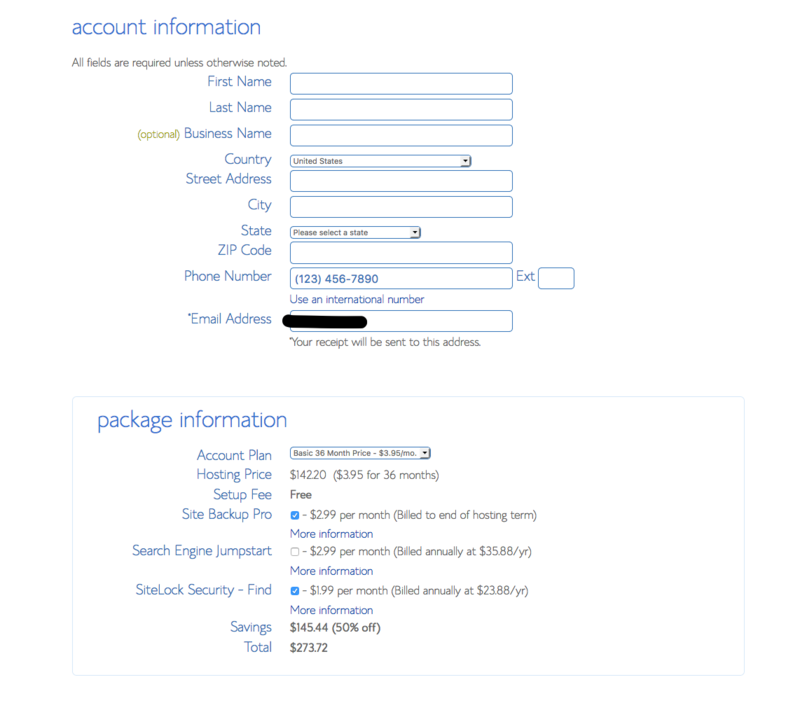 On the next page, you have the option to either register a new domain name or use an existing domain name if you’ve already purchased one elsewhere. Enter your info and keep going. 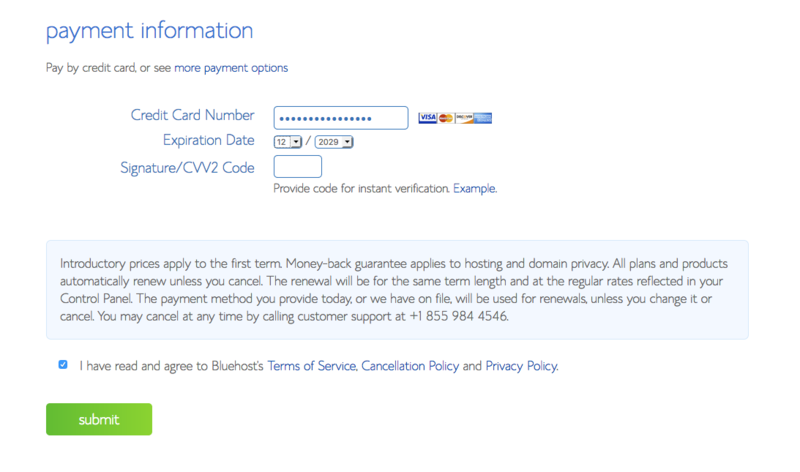 Once you choose a domain name, you can enter your contact and billing info on the next page. At the bottom of the screen, you have some options for add-ons. 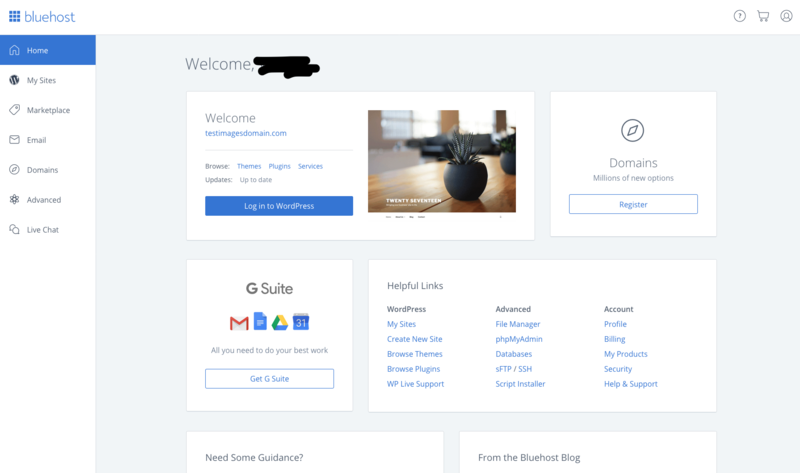 If you register your domain name through Bluehost, I would recommend the Domain Privacy Protection so people can’t look up your personal contact info if they look up who owns your domain name, and the automatic site backups with Site Backup Pro. As someone with butter fingers on my websites, I love having the peace of mind of having daily backups made of every file on all of my websites automatically. 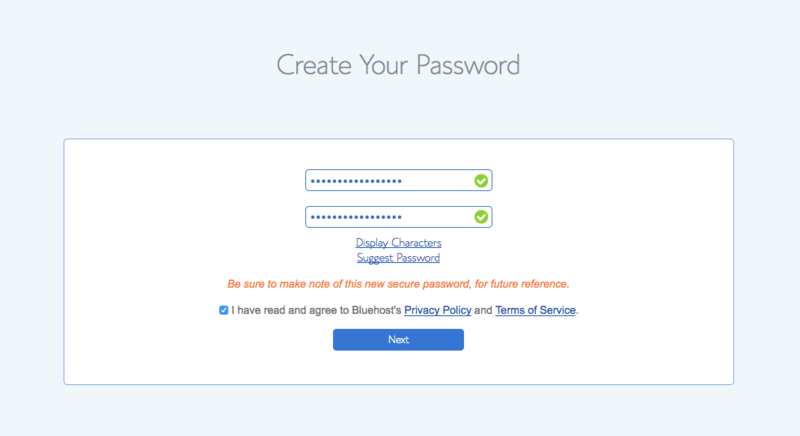 You’ll also need to create a password for your new account. 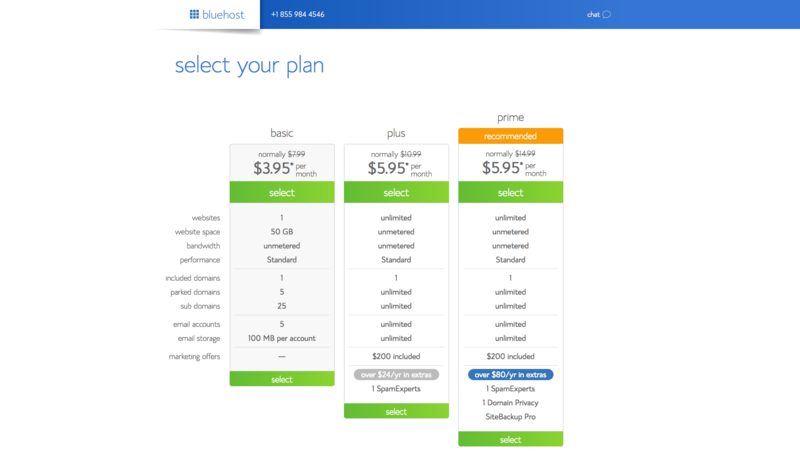 Once you’re all set up, login to your web hosting account with Bluehost. 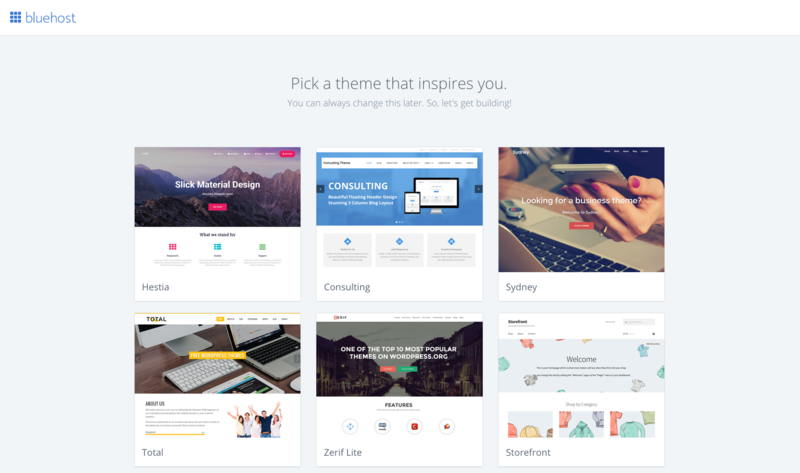 Choose a WordPress theme that you like (you can change this later). You’ve set up WordPress! 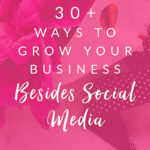 If you’re planning on monetizing your site, you will probably want to choose Business for the kind of site you’re starting. Now you have a few options for what to do next on your WordPress dashboard. 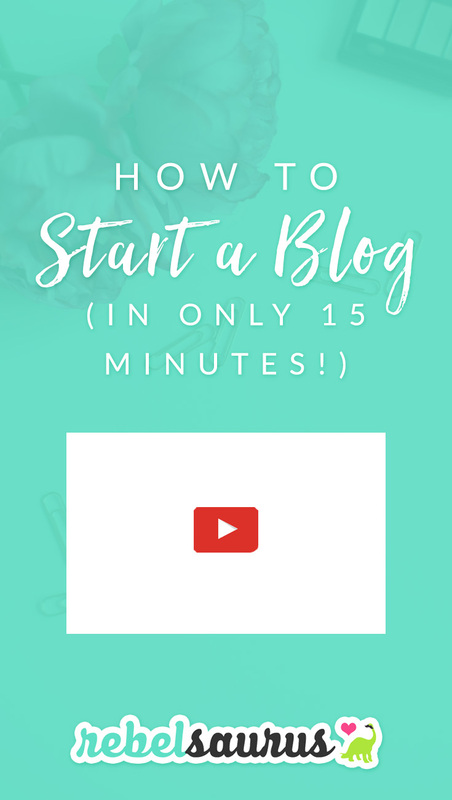 If you want to get started right away, you can launch your site (otherwise you’ll just have a Coming Soon screen on your site). Choose a site title and description. Yay, you did it! 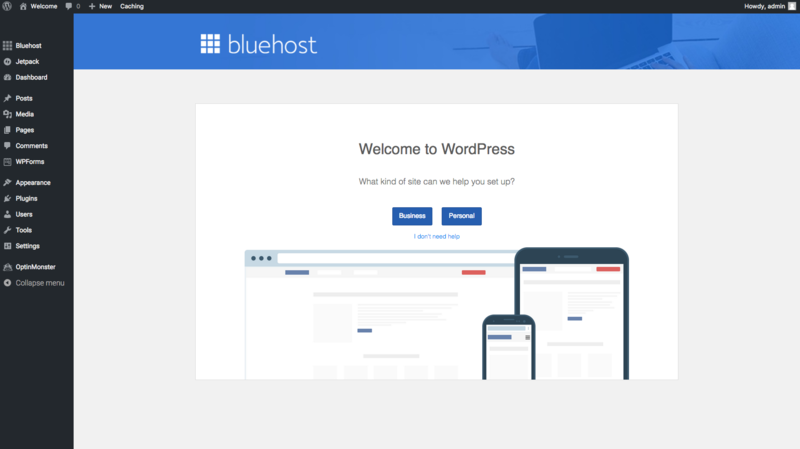 Now on your Bluehost account you can log into your WordPress dashboard or see the other options on your hosting account, such as creating other websites or domains, setting up email accounts, getting customer support, and more. 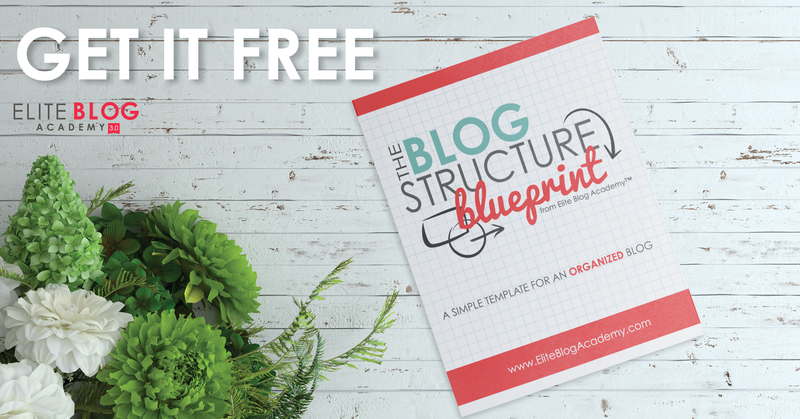 Also check out this free Blog Structure Blueprint download!